ArtValencia, run by graduates in Art History, is an effective and efficient company in Valencia dedicated to tourism that has been offering visitors tourist and cultural services in Valencia, Castellón and Alicante since 2002. We are one of the Valencian reference points as a group of professional official guides with a degree in Art History and Tourism with knowledge of languages, adapting to all types of public and responding to the most demanding clients. We offer different cultural services and tourist tours in Valencia, guides for private groups and cruises, visits adapted for the disabled, hostesses, management of cultural events, incentives, companies and organized trips. Our purpose is that travelers know the heritage, the cultural and artistic richness of the area in a fun and enjoyable way. To this end, we have professional tourist guides qualified in all areas and with knowledge of multiple languages. In each and every one of our projects we put all our effort and our heart into making them a success and meeting our client’s expectations by solving any problem that may arise at any time. Our ability to react and our involvement are some of our greatest values. We develop cultural routes that seek authenticity and “our own”, an immersion in our culture. With the aim of achieving a sustainable tourism that responds to the needs of all. Discover our guided tours in Valencia to get to know our culture, gastronomy and traditions. We adapt each guided tour to the characteristics of the client so that it responds to their needs and the result is the most satisfactory possible. We carry out practically any activity that is proposed to us and we are in constant search of new routes that surprise the visitor and take him/her to the essence of our culture. With the expert help of our official guides you will be able to discover what to see and do in Valencia, all the cultural heritage that Valencia and its region have to offer. From a visit to the most important monuments in the old town of Valencia to a tour of the less known corners of the city through thematic or specialized visits, in which we follow a common thread to know our history. The City of Arts and Sciences of Valencia surprises everyone who visits it. A futuristic complex in which leisure and culture converge. The Príncipe Felipe Science Museum invites you to experiment with science. The Hemisféric is an IMAX cinema with very interesting projections on a giant concave screen. The Oceanográfico takes you through the most important marine ecosystems on the planet. The Palau de les Arts Reina Sofía is the centre of the most important opera performances. The Ágora is a multifunctional building that hosts different cultural and sporting events. Gastronomic tours will take you through our Mediterranean flavours with fresh products from the garden and the sea. Rice is one of the main crops, especially in the Albufera area. And our most international dish is well known: paella. 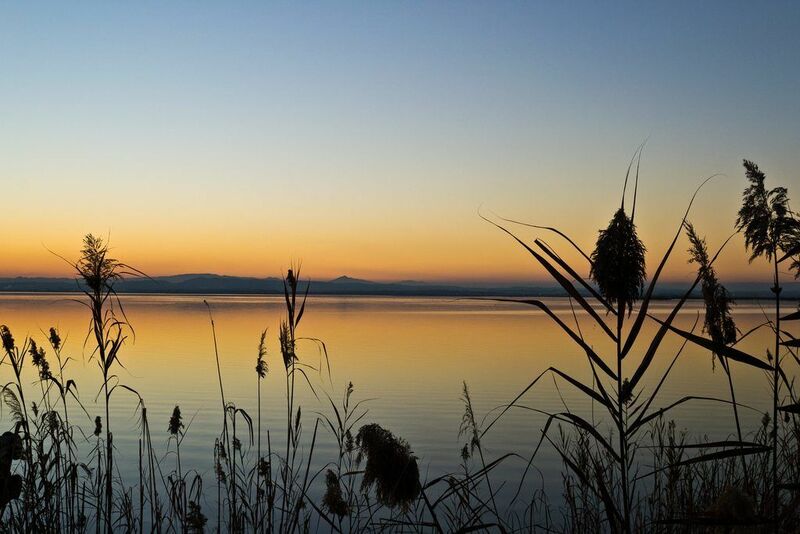 La Albufera Natural Park and lake is a place that leaves no one indifferent. A beautiful Natural Park just 15 minutes far from Valencia. It is a meeting place for different types of native species and an important place for bird migration. A stroll along its canals watching the sunset makes the world stop in an instant. Valencia is a very flat city and we can take advantage of this factor and the temperate climate to visit Valencia by bike and also visit the garden of the old riverbed of the River Túria, our green lung. We also invite you to visit the different towns of the region of Valencia such as Requena with its wines with Denomination of Origin; Gandía, the Borgia residence; Xátiva with its imposing castle; Sagunto and its colossal Roman theatre; Alboraya, cradle of the Valencian horchata; Manises and its millenary ceramics, etc. Valencia offers a wide range of possibilities that will make your guided tour an unforgettable experience. Shore excursions are one of our strengths. We take care of every detail so that the quality is the highest. We take care of our clients from the moment they get off the boat until they return. We meet them at the cruise terminal where they disembark and accompany them to their bus. Our guides welcome you and after the presentations start the different cruise excursions in Valencia that our clients have chosen. We work with accredited professional guides with extensive experience and language proficiency. We make every effort to ensure that nothing is left to chance and that the established timetable and route is complied with at all times. At the same time it is very important that the client feels comfortable and enjoys the experience and the guided tour in Valencia. Our buses offer the best service. These are new and comfortable buses. Cleanliness and punctuality are some of its most important characteristics. In addition, our cruise groups are very satisfied with the professionalism and friendliness of their drivers. We are always looking after our groups so that we can respond quickly to any eventuality. The client only has to enjoy the visit. We work to make your event in Valencia a success at all levels. We take care of every detail so that the most demanding customer is satisfied. We know how important the company’s client is and that’s why we do our best to make sure the result is the best. We carry out the development and integral management of the entire event. The knowledge we have of Valencia and its surroundings allows us to look for the best alternatives in hotels, restaurants, spaces, catering, etc. With our social programs for accompanying and participating in the event your clients will live a unique experience in Valencia. We design the route to measure adapting the schedules and contents to the profile of the group. From a traditional visit to the old town of Valencia to see its most important monuments, to specialized or themed visits that offer a different perspective of Valencia. We also offer cultural gymkhanas in Valencia that allow you to get to know and enjoy the city in a fun and entertaining way. Our urban gymkhanas in the centre are perfect for a teambuilding activity in Valencia as they work on social and work skills while enjoying and getting to know the city. We give you the gastronomic approach, among other things, with our paella competition in Valencia. With it customers learn to cook the best Valencian paella from the hand of the best chefs. Teamwork and communication are important to win this contest that unites culture, gastronomy, competitiveness, companionship and, above all, fun. The right choice of hotels, restaurants, spaces and catering is key to the success of the event. According to the characteristics of the client and of the client, we look for what best suits their needs. We work and know the whole offer of Valencia which allows us to achieve the best result. In Art Valencia we are constantly looking for new ways to get to know our heritage. We do not stop investigating day after day to offer original and different cultural activities in Valencia that take the visitor to the essence of our culture. We design new routes with the authentic and far away from mass tourism. A sustainable tourism that involves the visitor and allows him to enjoy with all his senses and immerse himself in a unique experience in Valencia. Our gymkhanas in Valencia combine fun and culture. Adapted to the profile of each group, they can be carried out in different locations. 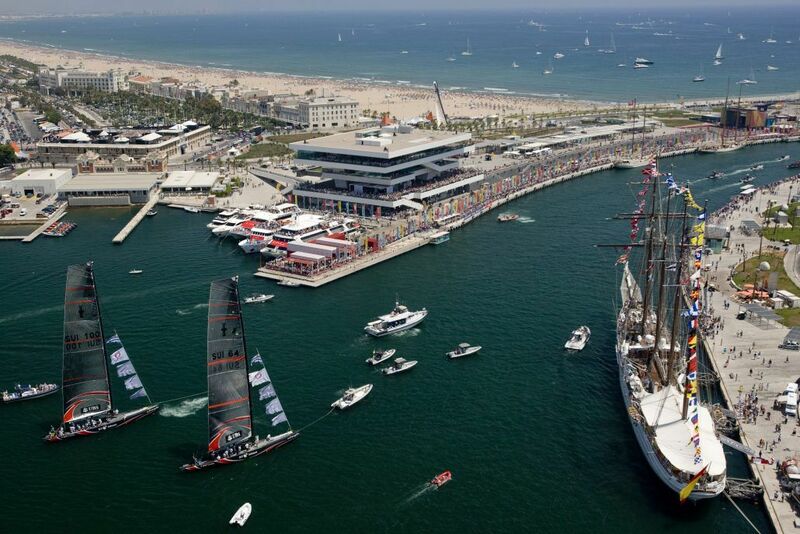 The pirate gymkhana allows you to enjoy and get to know the maritime area of Valencia by visiting the port where activities such as the America´s cup or the F1 GP have taken place. In the centre you will travel through history with our “time machine”. 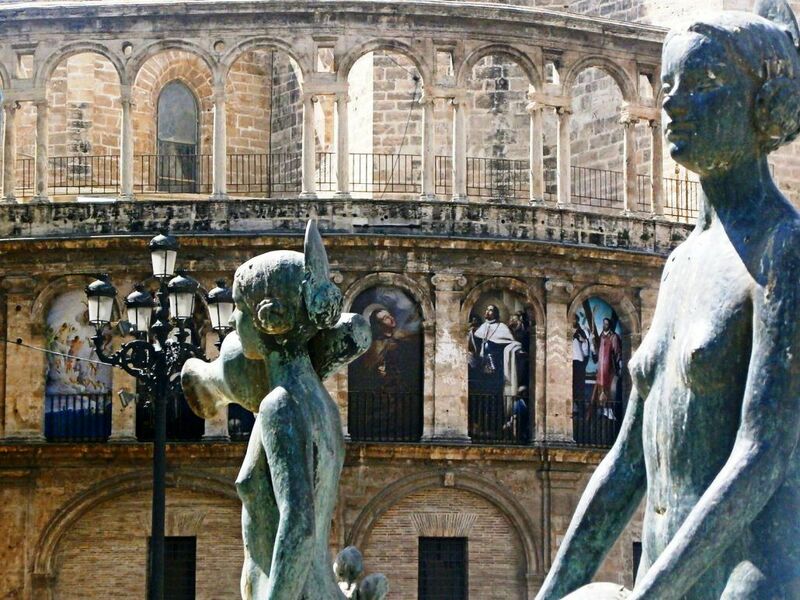 Discover the most important monuments and events in the history of Valencia by travelling back in time and solving the enigmas to get back to your time. The workshops in Valencia are one of the elements that we like the most as they allow a total immersion in the experience. We want the visitor not only to see and hear, but also to manipulate, smell, feel and taste. With our ceramics workshop in Manises, they give free rein to their creativity to model traditional ceramics and create a unique piece that they take away as a souvenir. All in a relaxed and relaxed atmosphere and in a unique place that contributes to this. Our Mediterranean diet is highly valued, as is our gastronomy, and the most international dish, the Valencian paella, could not be missing from our programmes. With the paella workshop the group learns, from the hand of professional chefs, to cook an authentic Valencian paella in a traditional way. The Fallas Workshop allows you to approach the fallas world with the help of an authentic professional fallas artist and learn all about our great festival, Intangible Heritage of Humanity by UNESCO. It is a creative workshop that allows you to take your own piece as a souvenir. Valencia is part of the famous Silk Route. Therefore, as it is a very important element in the history of Valencia, we have dedicated another workshop to it. In the Silk Workshop we take a tour of our history to learn about the importance it had for Valencia. In the end it also allows you to experiment with it and take a unique piece with you.